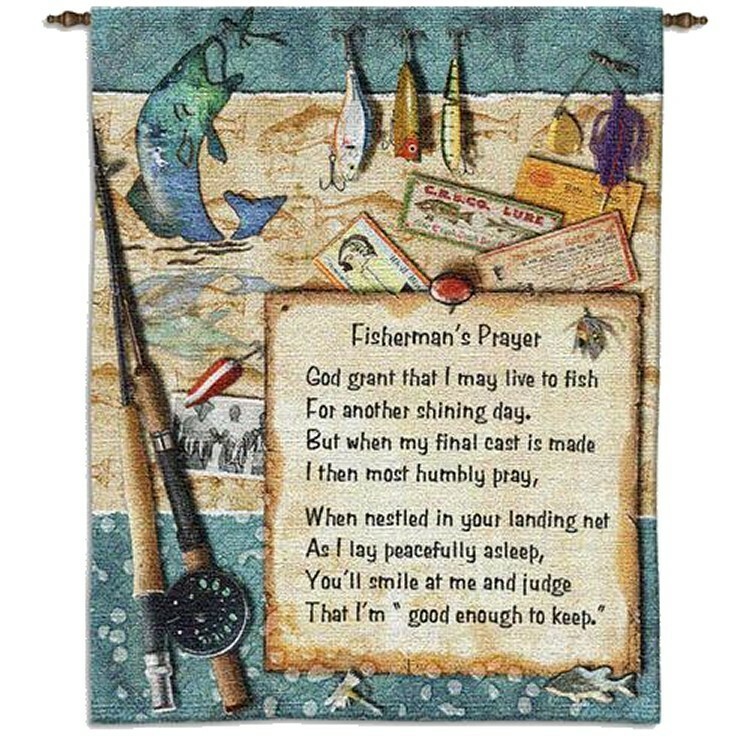 This inspirational tapestry wall hanging features the prayer of a fisherman. The Fishermans Prayer Wall Hanging includes colors of blues and beige with touches of yellow, red and purple. 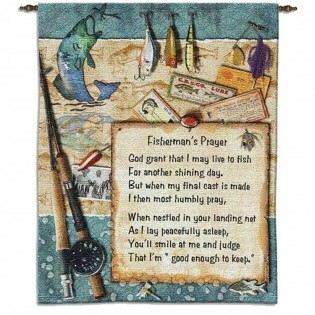 This inspirational tapestry wall hanging features the prayer of a fisherman. The Fisherman's Prayer Wall Hanging includes colors of blues and beige with touches of yellow, red and purple.